See the announcement here: www.aia-ri.org. The design was developed by Friedrich St.Florian Architects and 3six0 Architecture as Studio Providence LLC, and chosen by the jury of an international competition as its winner. 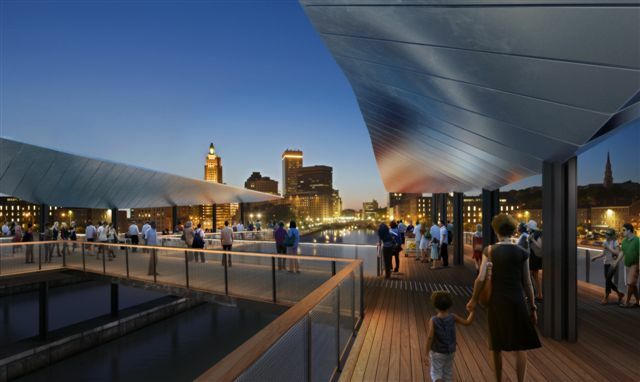 Unfortunately it looks as though this bridge design will not be built by us, but it raises our spirits to know our diligent work has received accolades in the form of the Rhode Island AIA’s highest honor.